Thai Garden or Landscaping Project? 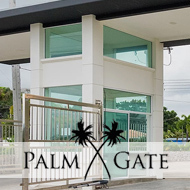 If you have a landscaping or garden design project in Thailand, whether you have bought a home, or are planning larger scale developments such as hotels or resorts, then our landscaping and design team are the best. Feel free to call us on 083 885 9304 or 086 405 5571 (Thai & English). If any problems getting through, please email [email protected] or use the Skype button below (ben.shingleton). Please give us the latin or Thai names (or picture) of the plants you’d like to purchase, the quantities and ideal height, plus if you’d like help with the installation this can be arranged. After ordering the plants and trees, a delivery date and time will be agreed. Based in Hua Hin, Ayutthaya, Bangkok, and Pattaya, Thai Garden Design have been contracted to complete work all over the Kingdom of Thailand, so feel free to call no matter what part of Thailand you reside.